A cutting edge Publisher of Genre Fiction, Pro Se Productions releases a tale of Gangsters and Gats and the Lady Private Eye in the middle as its latest Pro Se Single Shot digital single. 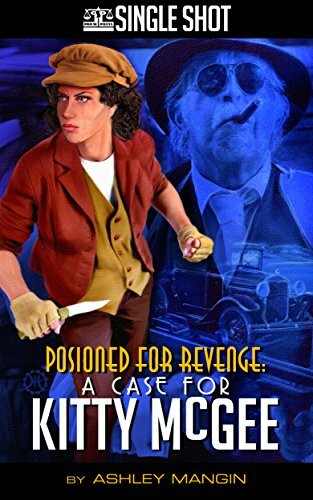 Author Ashley Mangin’s Poisoned for Revenge: A Case For Kitty McGee is now available. The Hottest Lady Shamus in 1920s Hot Springs returns! Kitty McGee continues to find life harder than she wants it to be. Hired by a bootlegger accused of poisoning his own hooch, Kitty goes head to head with the police, gangsters, and a relentless lady reporter. With enough grit to gum up a tommy gun and her trusty blade, Kitty McGee tears her way through the home away from home for America’s gangsters in the early 20th Century in true lady gumshoe style.